Horse lovers exist all over the world and photographers love to take pictures of these elegant animals that have been accompanying the human species for a few thousand years. 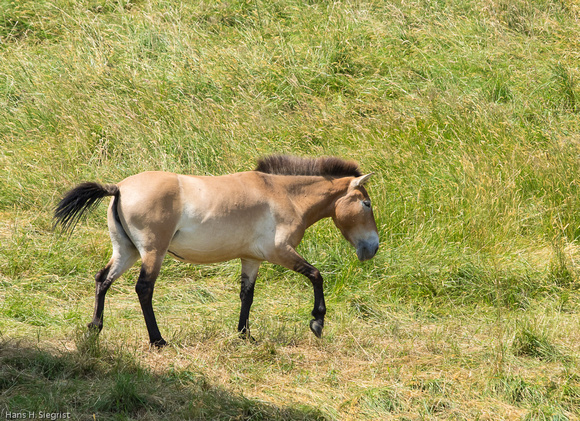 Of the truly wild horses only Przewalski’s Horse (Equus ferus przewalskii) remains.The last animals in the wilderness disappeared some decades ago in central Asia and only a few individuals survived in two zoos. Another example showing that animal parks are not completely useless since they occasionally allow the preservation of species while they are extinct from the environment due to human activity. See also the Europen Bison (Bison bonasus) and the Musk Ox (Ovibos moschatus). Three hundred animals have since been reintroduced in the Mongolian wilderness where they are adapting again to total freedom and its joys and dangers. 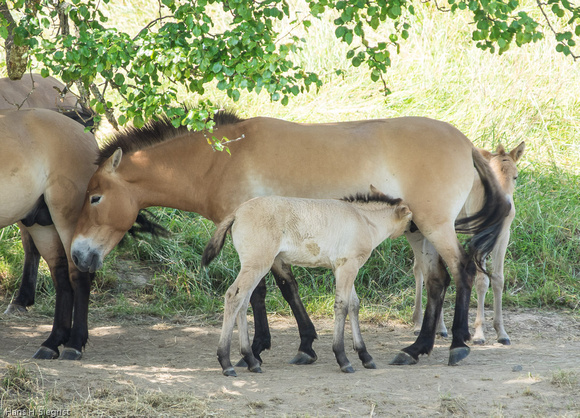 Short of travelling to Mongolia these beautiful horses can be seen in our animal parks. Today’s modern parks try to give the animals enough space to move around and also keep their distance from humans if they choose so. 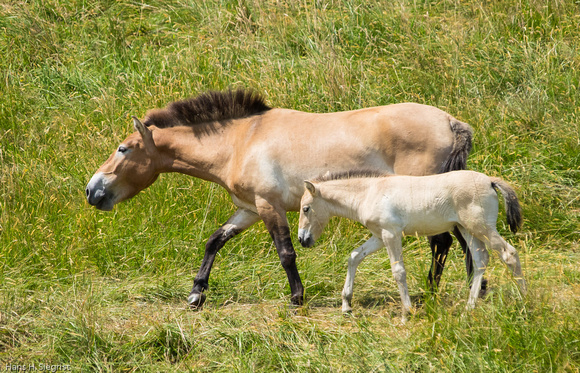 Przewalski’s Horse is a poney sized small horse with a close genetic relationship to our domestic horses and can interbreed with them although this species has never been domesticated. Their behaviour is very similar to our horses’ as they prefer to live in groups rather than as single individuals. All pictures taken at Langenberg Wilderness Park, Zurich, Switzerland. Olympus E-M1, ZD 50-200mm, EC-14. Nice pictures Hans! 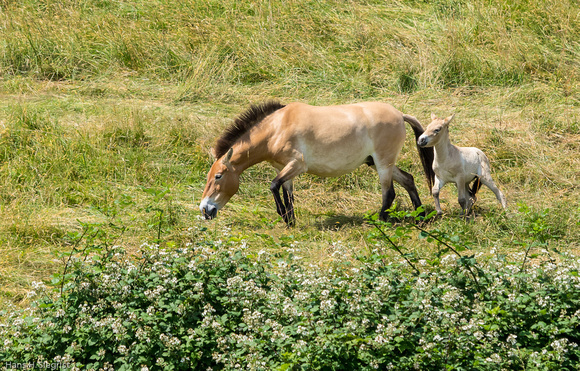 You can also find these horses in the Jura Parc close to Vallorbe. Hi Dominique! Thanks for following my blog. The enclosure at Langenberg is much larger than the one at Juraparc and gives the horses a lot of space for free roaming.